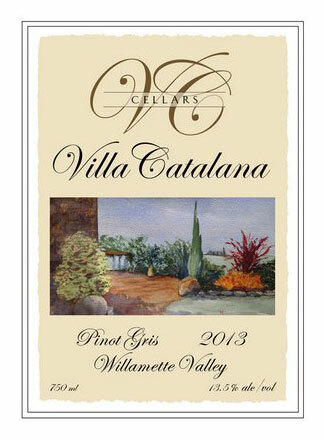 The grapes for this 2014 Pinot Gris comes from our neighbors vineyard on Petes Mountain in the Willamette Valley AVA. We fermented it to dryness and has plenty of fruit. It goes well with light dishes, salads, or by itself.